principally to increase their water retention. and all other embankment types. 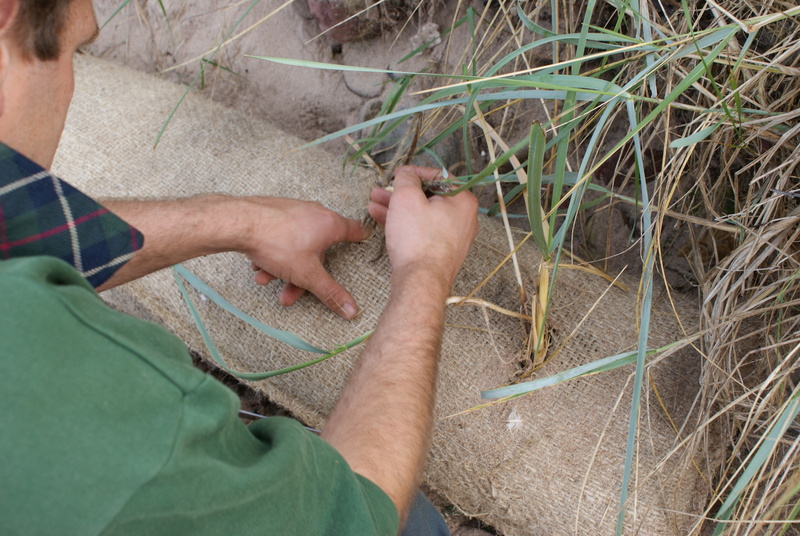 Sisal is a super-strong and highly sustainable fibre crop grown in the tropics. 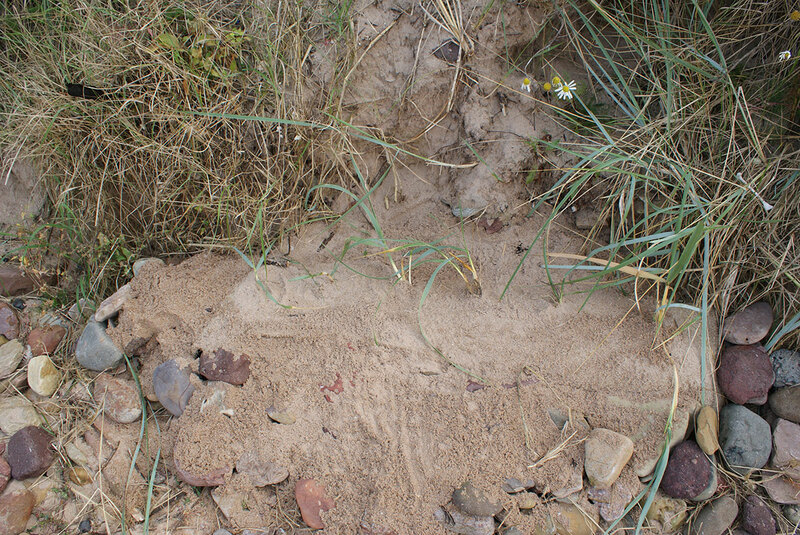 It can be processed into a wide range of textiles and materials. Literally meaning textiles for use in the earth. 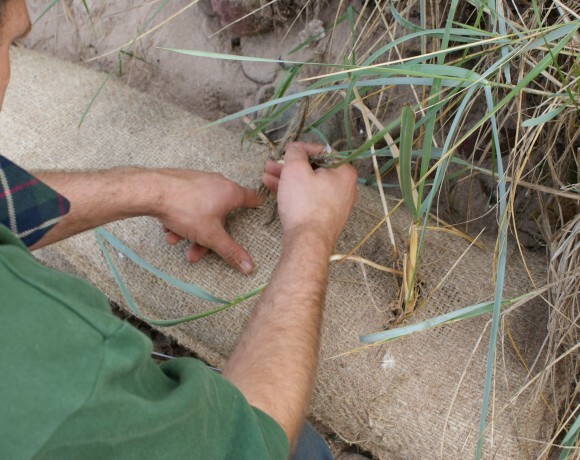 Geotextiles are normally plastic based, but sisal geotextiles are much more sustainable in their production, and also biodegradable. 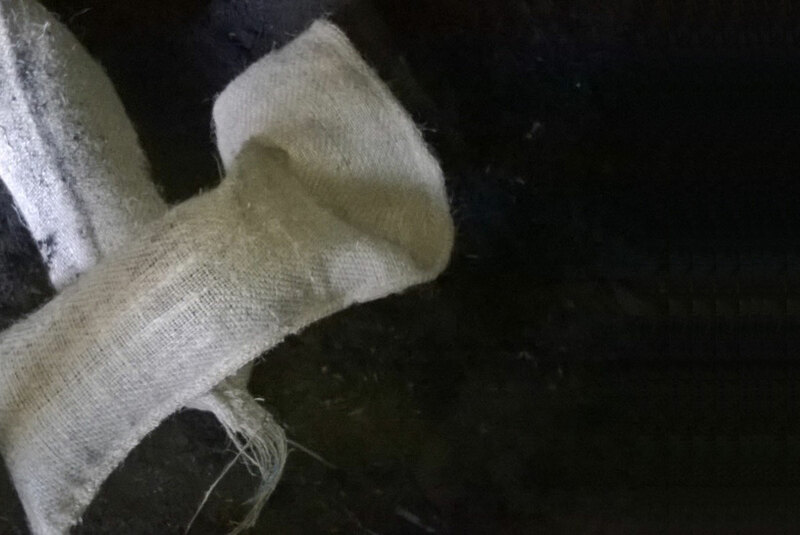 Sisal is grown organically, has a very low water requirement, and absorbs carbon dioxide from the atmosphere. We aim to help small-scale farmers in East Africa trade their way out of poverty by buying sisal fibre from them for a fair price. 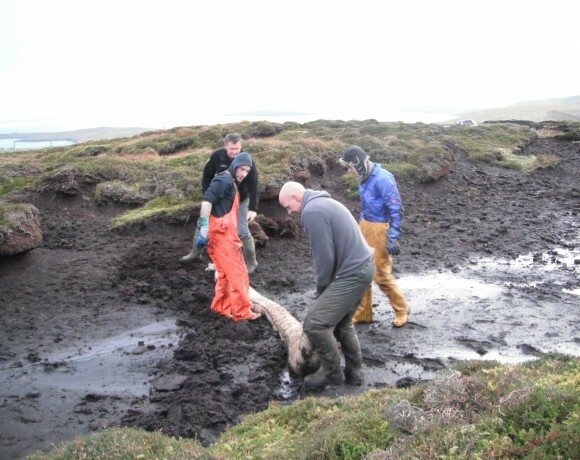 Peatland Restoration at Cunningsburgh Hill Apportionment by Lerwick, Shetland. 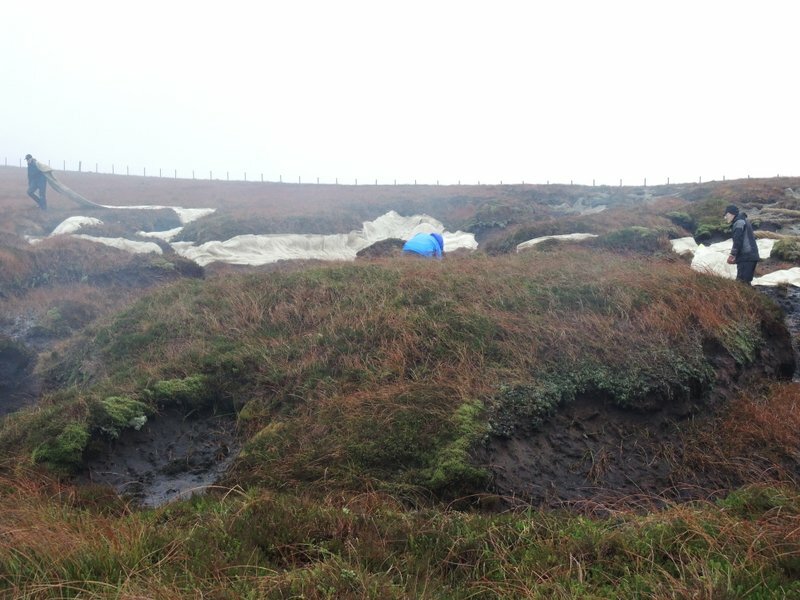 Seven volunteers with the Carrifran Wildwood project pegged out around 700m2 of sisal matting on exposed and eroding peat on a hill top in south Scotland. The dry matting was easy to handle and we cut the 1.2m wide lengths into 10m strips or less and pegged it down with short steel pegs. 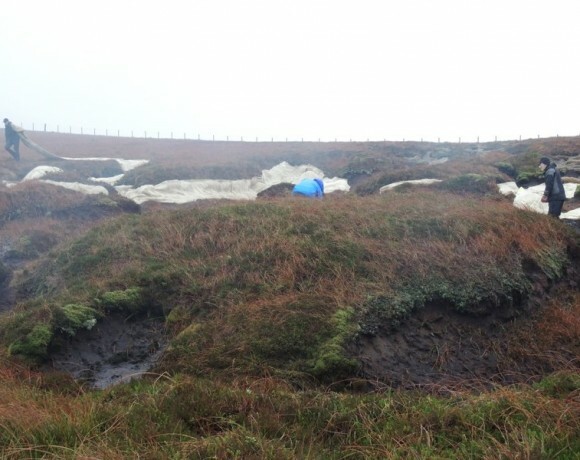 The matting was soon saturated by the heavy rain showers and should stabilise the surface of the peat whilst allowing mosses and bog cotton to grow through it. 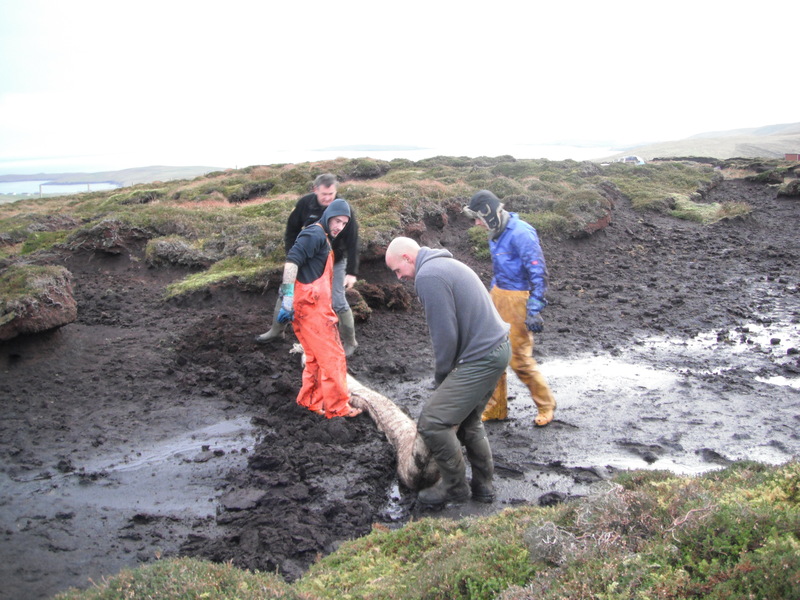 It will take until the end of summer 2015 for us to see how well the matting works to reduce peat loss, but we are optimistic that it will do the job and then simply disappear over time, leaving us with an intact bog ecosystem. 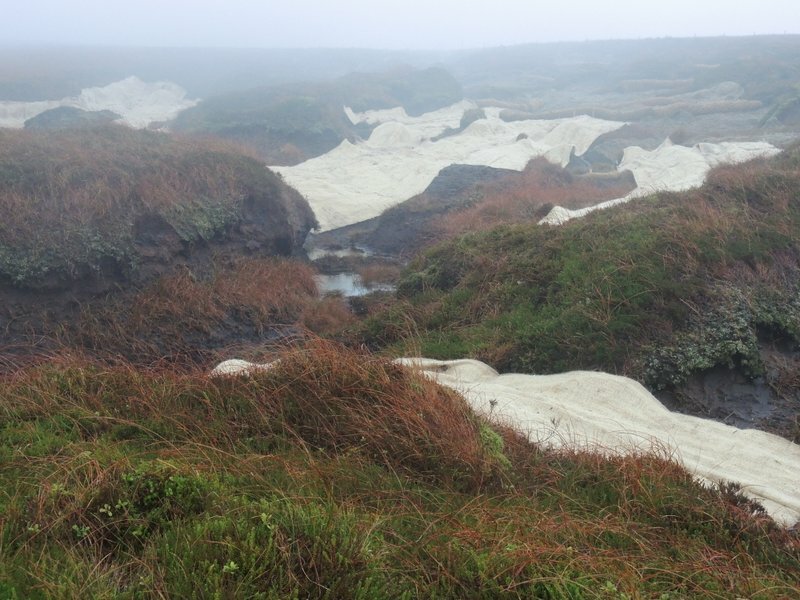 In some places we have tried 2 sisal tubes about 0.7m apart and back fill in between with peat and plant plugs of bog vegetation on top of the infilled bit. This makes a fantastic dam. We are happy to discuss your specific needs and can manufacture products to your exact specification. If you have any questions please don’t hesitate to contact us.